You have decided a big wedding isn’t for you. You love your family and friends to pieces, but you want it to do YOUR way. Instead, you dream of planning a get away with the love of your life that reflects the way you are. This day, this adventure will be about you and the two of you only. You get to plan it the way you want it to be, you get to do what you want to do and you get to go where you want to go. We’ve all heard the word “elopement” before and know what it means - or, at least we think we do. A secretely and ill-planned “run-away” wedding. And in former times, this used to be true. Parents not allowing a wedding (think the movie “Braveheart”), couples secretely in love, the hurdles of different religions and cultures. Yet, throughout the last couple of years, things have changed - a lot! More and more people seem to be fed up with the commercial aspect of the wedding industry. Having to spend a fortune on their big day and inviting way over a hundred guests to share their special day with. Brides and gooms realize they are not planning anymore for them, but rather for their guests. Shouldn’t it be the other way around? Don’t get me wrong. Big weddings are absolutely fine if this is truly what YOU want. But what about all these other people? Those who would rather have a campfire on their wedding day? Who would rather watch the sunset from the top of a mountain? Change into their outfits in a cozy cabin in the woods or in a camper van? 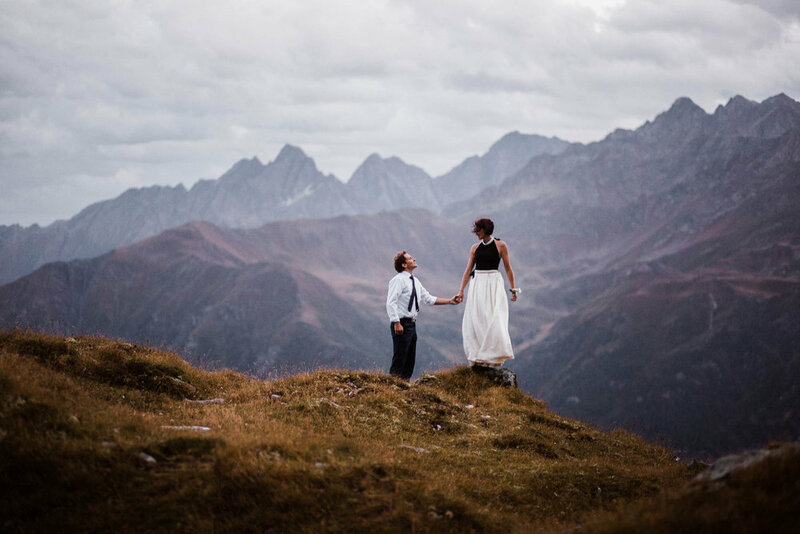 Speak their vows just in front of their spouse with no one else as their witness except a jaw-dropping view? Who would rather glamp in the desert? Travel to a country they’ve never been to before to say “I do”? Who want to go back to what really matters: make that day about YOU, and no one else. If you’re nodding your head in approval, you might just have found that an adventure wedding is for you. Elopements are truly wonderful and they are just as important and relevant as big weddings. There is no argument about which is better - only the question of what is the best choice for you. And we are truly lucky to live in the day and age to be able to decide what we really want for ourselves. Not a run-away, poorly planned and hasty marriage, but a wonderful adventure planned with details that matter to you and just the way you both want it to be. I get to be the third wheel to document couple’s elopement adventures throughout Europe and beyond. 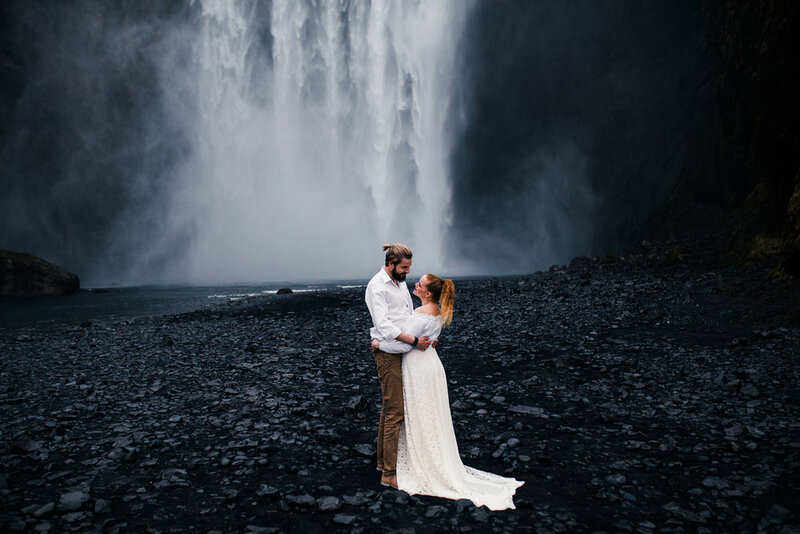 Being a traveller myself, I help my couples to find the best spots, away from the beaten tracks to help make their elopement dreams come true.